Which GoPro Is Best For Hunting? The first thing you need to do in order to hit your target is see it. Iron sights are fine for closer shots, but when your game is further down range you need a scope to get off a better shot. And to attach your scope to your rifle, you will need scope rings. Scope rings allow you to mount a scope or sighting device onto the top of your rifle easily. They are made to be adjustable and can be easily removed in situations where you would like to fire your hunting rifle without the use of your scope. Scope rings come primarily in two different styles. 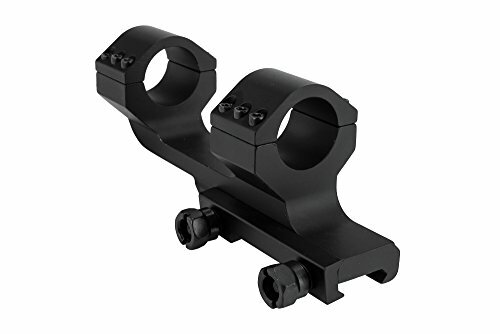 There are either the two separate scope rings that you line up along your picatinny rail, or there is the scope ring that comes as one united peace with two separate rings on it. Scope rings are fairly simple in their construction, and are interchangeable for any rifle that may have a picatinny rail along the top. Scope rings can help make sure that your scope is anchored correctly, and help with siding issues, as well as make sure that your shot is always on target. These Vortex Precision Matched Rings position the center of the riflescope tube at a height of 0.97 inches (24.64 mm) from the base. Will only work with Picatinny spec mounts-will not work with Weaver mounts. Our Precision Matched Rings are kept in pairs throughout the manufacturing process - ensuring perfection from one set to another. We start with certified USA 7075 T6 billet aluminum and hold it to an extremely tight tolerance of .0005 using our precision Computer Numeric Controlled (CNC) mill. These Vortex rings are serialized, vibratory tumbled, hand-bead blasted and finished off with a Type III hard coat anodize. Sold two rings per package. Hex wrench included. Made in the USA. 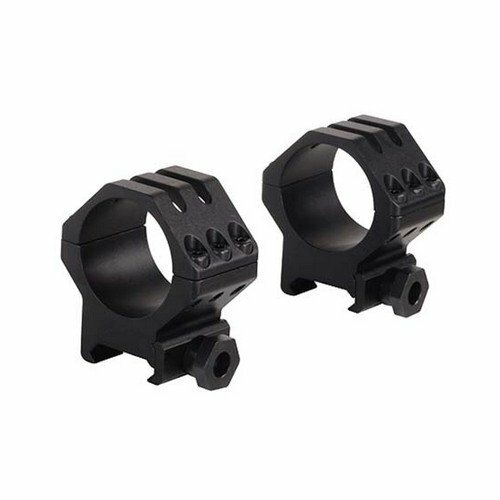 Robust 6-screw Tactical Ring is perfect for mounting red-dot optics, magnifiers, and other accessories with 30mm tube diameters to your Picatinny rail. When using this ring to mount a conventional riflescope, we strongly recommend lapping the rings for a proper and secure fit for your optic. Sold two rings per package. How Do You Use Scope Rings? Scope rings are attached to the top of your rifle along what is known as a picatinny rail. This area is used for mounting a wide range of gun attachments, from laser sights, sniper scopes, as well as more traditional sights. 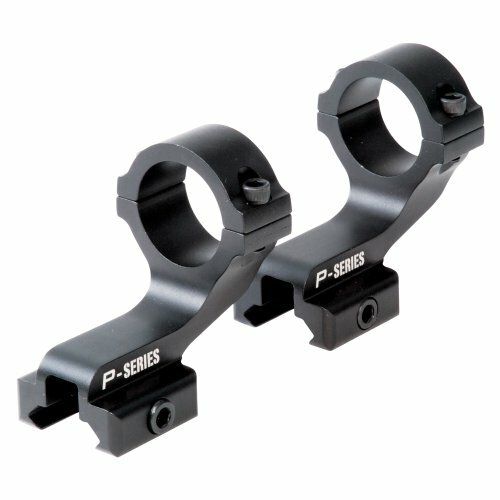 Scope rings are easy to install, as they simply attach to the picatinny rail and are screwed in place most often using small clamps along the side. If you are using two scope rings that are not attached at the base, it is important to make sure that they are at a good distance to fit your scope of choice. 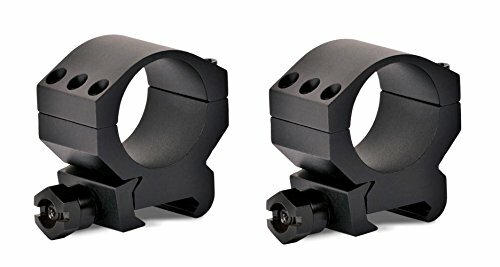 The benefits of using two separate scope rings are that you are able to determine the distance between them, allowing them to be used for a wide range of scopes and sights. While a dual scope ring offers a bit less flexibility for the scope that is attached to it, the dual scope ring design has a lower chance of becoming misaligned or unscrewed. When it comes to choosing the right scope rings for your hunting rifle, it is important to take into account what kind of scope you are looking to attach to the rifle. If you have a wide range of scopes in various sizes and lengths that you are looking to change between various rifles, investing in a pair of independent scope rings may be best for you. Independently mounted scope rings allow you a wider range of freedom when it comes to installing your scope along the picatinny rail. 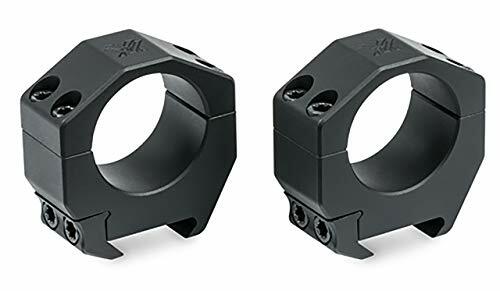 However, if you have one or two scopes of a similar size that you are looking to use for precision shooting, using an attached set of scope rings may be best for you to provide the additional stability that you are looking for. As with any purchase for your hunting kit, it is best to do your research to make sure that you are getting the best quality item possible, as well as to find out if that item works well for the specific type of rifle you have in mind. Making sure that your scope is properly attached to your rifle can help improve your shot accuracy, and a good set of scope rings can make sure that there is little to no misalignment issues after carrying your rifle into your hunting site of choice. All in all, a good set of scope rings can ensure that your hunting trip goes off with a bang. How Long To Hang A Deer Before Butchering? © 2019 AmmoAtlas.com. All Rights Reserved.